We all know that in order for our computers to keep running optimally, they need to be properly maintained. This maintenance involves occasionally cleaning the parts. While some parts require constant attention, the CD drive is certainly not one of them. However, it also needs to be looked after occasionally. Part of looking after it involves ensuring that it stays clean all the time. This article looks at how to clean your CD drive. We usually want to attend to this task when there are problems such as when the tray starts having trouble opening. To clean the CD drive, you are going to need some compressed air, a straw, and an air bulb. Added to these three items will be a CD ROM cleaning disk, a soft cloth, a cotton swab, and some clean water. 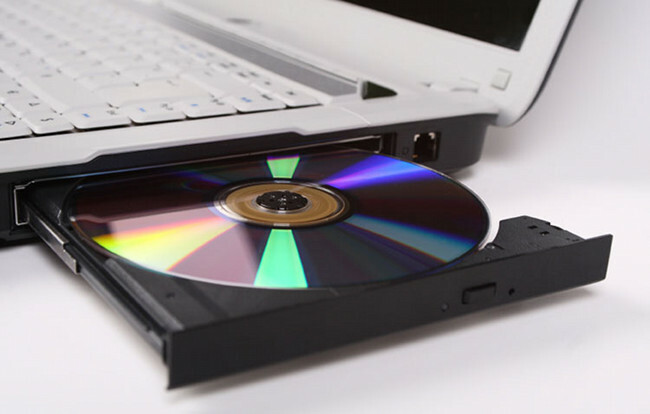 If there is any dust that has accumulated inside your CD drive, you can get rid of it using compressed air. The best tool to use to get this dust out is an air bulb. To blow air deep into the drive, you can utilize a straw. If you use a straw, you need to ensure that you do not end up blowing moisture and saliva into the CD drive. If there is any moisture in there, it could create a place where the dirt would stick and be difficult to get out. Short and quick blows are recommended. Compressed air should be used with a lot of care. If you use too much force, you could disturb things in there. Also, make sure that the can you are using is standing upright so that you do not get liquid air inside by mistake. You can also use a soft cloth to clean the CD drive. Start by using a small amount of water to get a soft cloth moist. After opening the drive, let the tray eject. Then, you can use the soft cloth to wipe the tray. As we have already indicated, do not allow excessive moisture into the tray. When you have wiped the tray clean, you should allow it to get dry before you put it back into the drive. If using the suggestions we give above does not give you joy, then you may consider cleaning the lens. However, to clean the lens, you will have to remove the cover and drive so that the lens is exposed. Once you have access to the lens, you can remove any dust that is stuck using a cotton swab. If you have no inclination or skill to open the computer, use the CD-ROM cleaning disk. If the problem is bigger than just cleaning, ensure that your CD drive and all its drivers are working properly by deploying a software system such as DriverAssist. It will help you identify problems before they happen by doing a scan on your computer and doing a review of the major drivers to ensure that everything is in order.